At our first community planning meeting, we met with neighbors and talked to them about the goals and mission of the Vacant Home Tour. 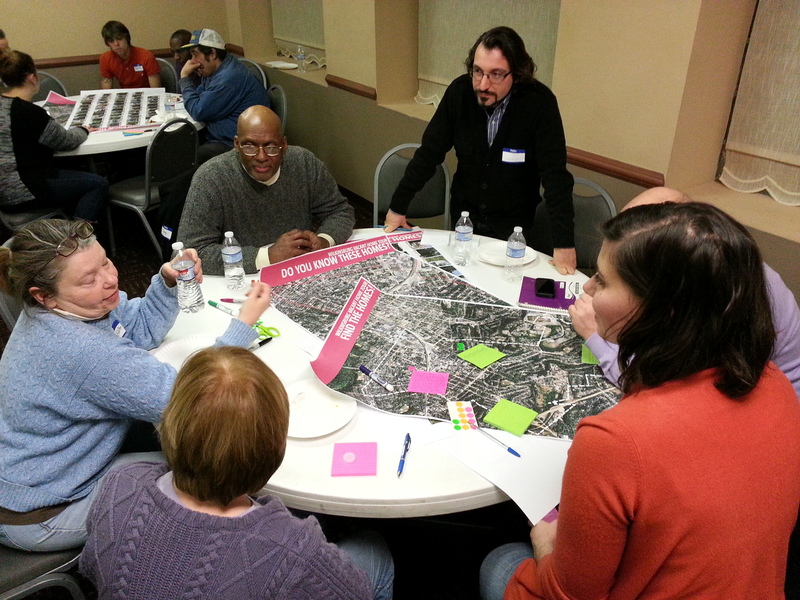 We worked with them on some activities to help begin the process of identifying what homes might be good candidates for the tour and we began to envision what the future holds for Wilkinsburg! We created headlines and a front page from the year 2020, reflecting how the Vacant Home Tour will change Wilkinsburg! 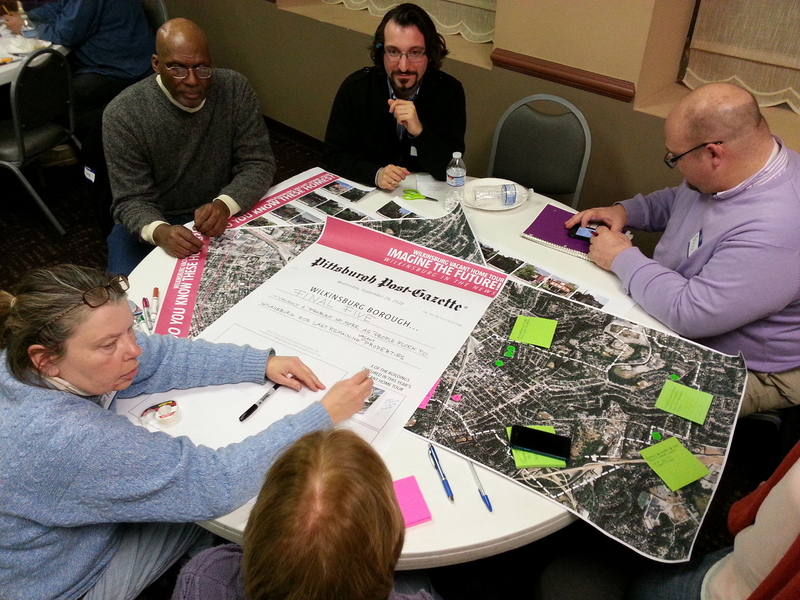 Each of the three groups created a front page headline for the future of Wilkinsburg!